Miami: the young, vibrant, multicultural, tropical city where the sun glints off everything from trees, water, glass buildings. It explodes with color. It’s a place of the senses. 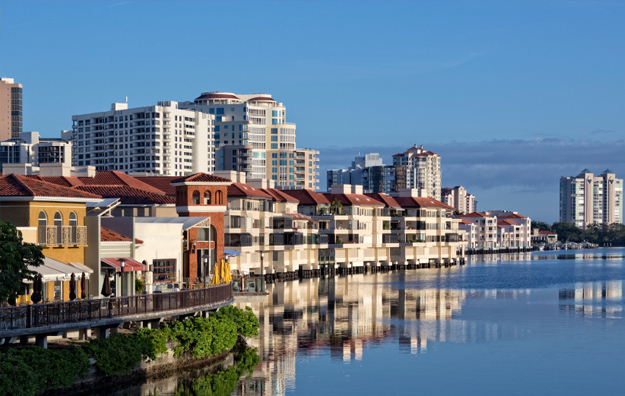 It’s a sprawling city made of a patchwork of diverse neighborhoods, stretching from Biscayne Bay on the east to the Everglades on the west. For a real taste of the tropics, a day trip from Miami to Key West is the ticket. 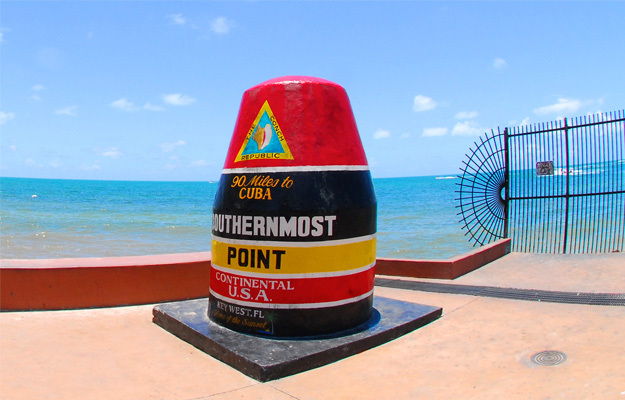 Key West is the ultimate destination, and getting there is only half the fun. It’s a long way down the Keys island chain, 100+ miles to Key West at the very end, with a lot to see along the way. In the cool comfort of a state of the art motorcoach, it’s easy to sit back and let someone else do the driving. 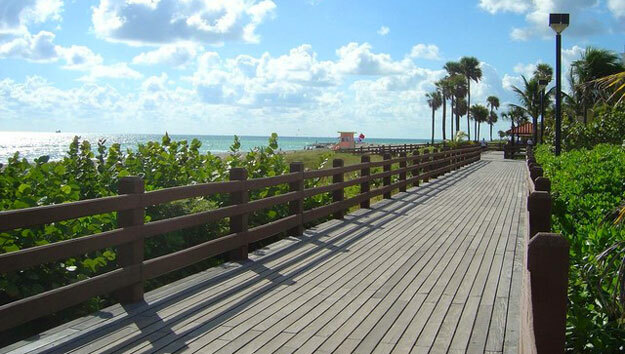 Once out of fast-track Miami, mile marker by mile marker, the ride is a wonderful change of pace. Visually, the Florida Keys looks and feels different. The day is brighter as the water sparkles in shades of turquoise and views from the bridges (42 of them) are spectacular. Island by island the architectural style changes from Miami trendy to colorful island funk. Miami is a sprawling high-energy city known world over for fabulous beaches, sparkling blue skies, sunny days, bright colors, trendy places, wonderful shopping, great food, lots of glamour and a distinct international feeling. 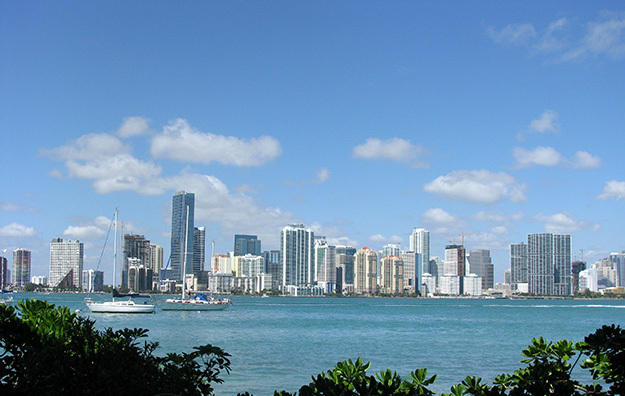 Historically, Miami is a relatively new city, starting as a small pioneer settlement in the mid 1800s. Today it spreads from the Atlantic Ocean to the Everglades. Miami has a thriving downtown whose towering steel and glass office buildings glittering in the sun are headquarters for international and national businesses. For being so close to the beach, t’s primarily a business district, not one filled with tourists sites. 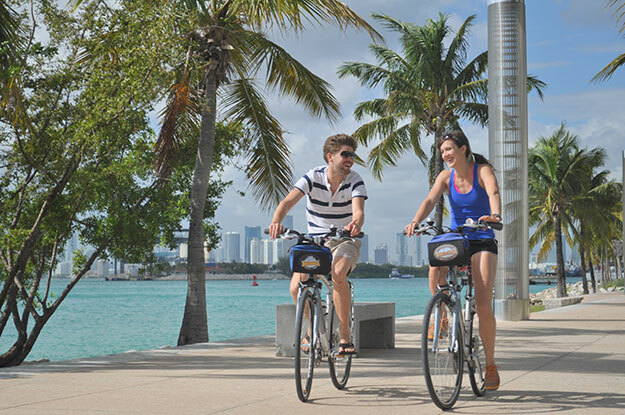 However, once outside of downtown, Miami has interesting, colorful neighborhoods and areas stretching along Miami’s coastal ridge, along Biscayne Bay or the Atlantic Ocean.